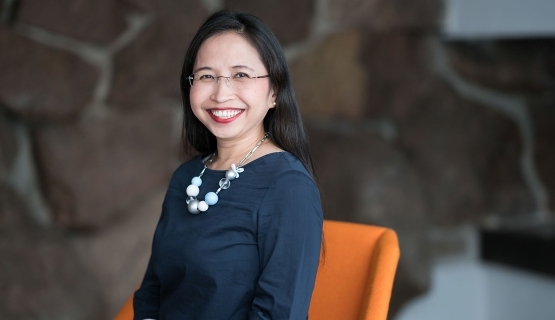 “When I came across the Aalto EMBA program, I thought this would be the perfect opportunity for me. I want to learn something new every day. I work for one of the Big 4 accounting firms in Indonesia, and was after international experience. I chose Aalto EE for completing the EMBA, as Finnish education has such a good reputation. I also wanted to visit Finland and have the real experience to be part of a Finnish institution! I’ve worked as a Corporate Responsibility Coordinator for years, which requires good social skills and cultural and also political sensitivity. With the previous experience of living and working in the United States, with diverse environment, I have an ability to put myself in the shoes of different people, when I deal with management, staff, internal or external stakeholders. This experience with Aalto makes it even richer. My superior at work has been supportive, making sure to ask me how the studies are going." Completing the EMBA has been hard work, but so rewarding that I’m feeling a little sad now: it’s nearly the end. This is such a big investment for me, financially and emotionally. My superior at work has been supportive, making sure to ask me how the studies are going. I can put many of the theories into practice at work: either I’ve learned something new or felt assured that what I was doing already was smart. Perhaps the modules on Management Communications and discussing how to get the message across have been the most memorable. For instance, we’ve practiced how to get a negative but important issues across. What methods should be applied for different people? I’ve received assurance that communication is my personal talent, something I’m good at. The feedback from professors has been also important: I believe in myself more than before.